Two weeks ago I walked along the Dimple Lane that extends from my aunt’s house near the Crich marketplace to Barn Close Farm in the village of Fritchley where my dad, my aunt, and their two brothers grew up on their parents’ farm. As I strolled along, I counted thirteen horses. If my nine-year-old daughter Meg had been with me we would have been constantly stopping to feed them with the long meadow grass growing by the side of the lane and I might have missed their significance. 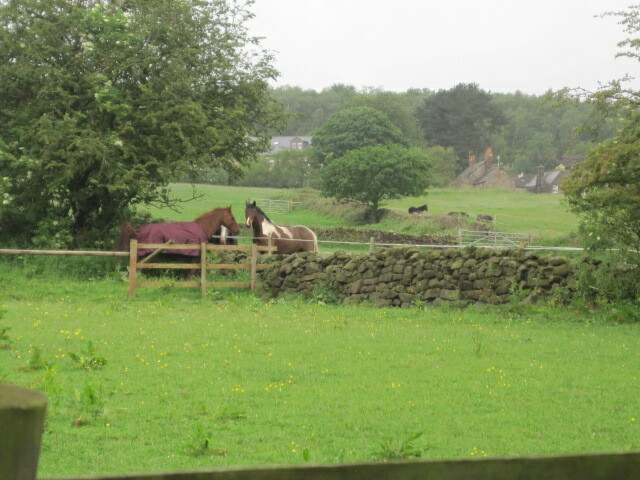 But as I was by myself, I brooded about it, because seeing more and more horses in the countryside is not good news. It is, in fact, very bad news, because it means that what was once farmland is now horse-land. And horses, although magnificent animals and no doubt immensely enjoyable to ride, do not provide the economic value and self-reliance that farmland provides. In many ways horses are similar to the yachts now parked in what used to be community dockyards at the 79th Street Boat Basin in my old neighborhood of the Upper West Side of Manhattan. The old scows and houseboats that provided inexpensive housing to middle-class people in one of the most expensive cities in the world were moved out and yachts belonging to the wealthy were allowed in. Instead of being a place for ordinary people to live, it’s now a pleasure-ground for the rich. The Dimple is a lovely country lane, flanked by two-hundred-year-old cottages and large swaths of fields and woods. There’s some interesting history along here in the Hat Factory where hats were made for the local Quakers, the Bobbin Mill which was part of the Industrial Revolution, and the Nun Field, once the location of a medieval nunnery. My dad once found a Roman coin in a nearby field while ploughing behind a horse. There’s a stream and lots of wildflowers, and blackberry bushes where we’d go as kids to fill a pie. At the far end of the Dimple is Barn Close Farm where my father grew up and my grandfather milked a herd of dairy cows, grew crops, made hay, and helped provide for the village during the Second World War when there was very little food about. There’s bad news about Barn Close: the barns are being turned into “luxury accommodations” and the farmhouse is currently being renovated. The farm animals are gone, and I don’t know what’s happening to the land. I’m glad my father isn’t here to see his boyhood farm turned into a McFarm; he’d be heartsick. My dad loved arable land: in Derbyshire, Pennsylvania, Iowa, the Plains States, wherever he went in the world where someone was growing something. He loved to watch crops growing: kale, turnips, wheat, and potatoes on his boyhood farm; grain, corn, and soybeans in America. Every year when we’d be in England for the summer, he’d be out on the farm helping my grandfather with the haymaking, the ploughing and chain harrowing, the harvest. But now his boyhood farm is no longer a farm. I don’t blame the current farmer; he did his best with a herd of dairy cattle, but he couldn’t make it work. The milk processors and large grocery chains leave dairy farmers–any type of farmers–with only pennies on the pound. If he hadn’t turned Barn Close into high-end accommodations but sold it instead, the next owner would have. This morning I called down to Cambridge to try to find someone to professionally clean the carpets in my rental house, as required by the leasing agent. The company I contacted couldn’t do it for a while: they were spending almost all of the next week cleaning carpets in one 10,000 square foot house–referred to as a “McMansion” in America after the “supersizing” at McDonald’s. There is no reason to have a 10,000-square-foot-house. Two thousand square feet is more than enough for an average-to-large family. The four of us–my mother, two daughters, and I–lived sufficiently well in our 1,500 square feet in Cambridge, and the six of us live sufficiently well in our 2,000 square feet in Boston. We are losing too much land to houses and horses. And we need our land, for how else are we going to provide for ourselves? I for one don’t want to leave it to China, Russia, and other countries to grow our grain, vegetables, fruit, dairy, and meat. I want to know where our food comes from, exactly how it’s grown, that it’s local, and that we can feed ourselves. 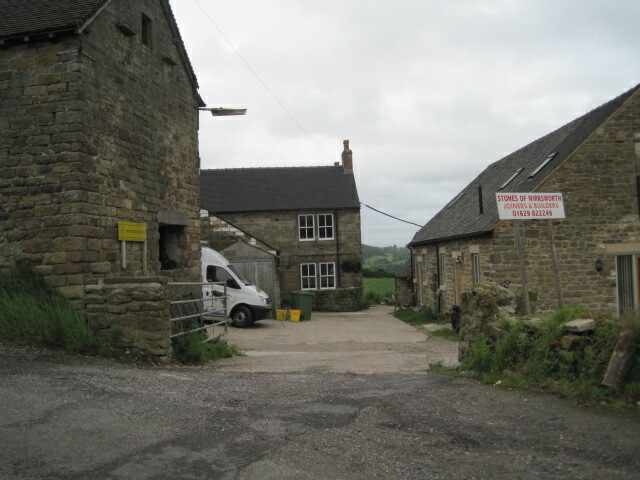 Here in Derbyshire and elsewhere around the world, small farms are constantly being bought up. A farm in the village, farmed by one family for generations, was sold to a wealthy businessman four years ago. He gutted the barns and the farmhouse, increased their height by fifty percent, and the resulting behemoth now dominates the view for miles around. His main residence is in another part of the country, and yet he felt he must build a mansion here in the Derbyshire countryside out of a working farm. Why? If he were to provide for 50 orphans in his McFarm, I wouldn’t begrudge him the monstrous size. But it’s for him and his family. And again, he’s not going to farm it. But do not despair. 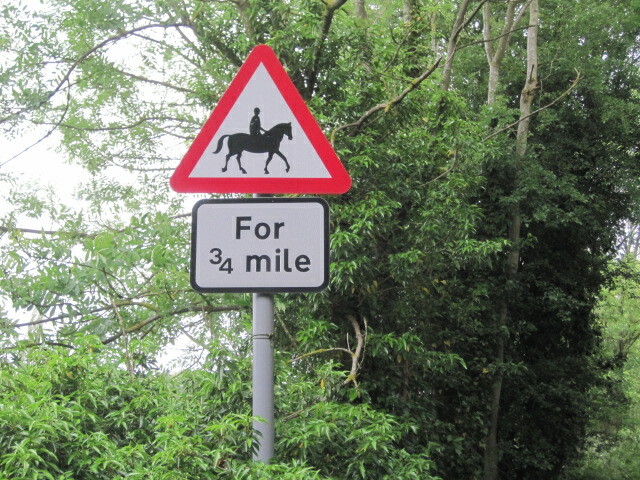 There will, no doubt, be space for horses. living in Riversdale, we loved your blog. My husband is reading A pennine childhood with great pleasure. he has told our civic society of it. Is that wrote by a family member. Hi, thanks for signing on to my blog! I really appreciate it. I’m so happy your husband is enjoying A Pennine Childhood. And yes, it is written by a family member–my mother! Please tell him thanks for telling his civic society about it. Hubby said to tell you its the Bullbridge and Sawmills civic society. B.A.S.A. we have been here for 3 yrs and husband is very interested in local history.and knows many like mined people. Please tell your husband that Brenda and I are delighted that both of you have come to our part of Derbyshire! We were at the the Canal Inn just this summer with my uncle doing kaoroke. Your husband may want to check with CACN–Crich Area Community News, on the internet, which has a lot of local news, history, and parish records. Also, you can get copies of A Pennine Childhood at Scarthin’s in Cromford, Worth’s bookshop in Belper, the gift shop by Matlock Bridge in Matlock, and at the gift shop at Cromford Mills, a couple of doors down from the teashop. thanks for info. will post places to buy book from on the BASA facebook page. we live next door to dawn who showed us the book, she started reading xmas day, and was pleased to receive it as an xmas present. we got it from amazon. we go to the Canal Inn sometimes but normally go to the Red Lion in Frichley, as it walks the dog. Phyllis, thanks for saying you’ll post information on where to get my mother’s book on the BASA page. I had a look at the page, and really want to go on some of the walks, though I’m not sure I’d manage the 11-miler, up and down hills! I also like the Red Lion–my dad also grew up in Fritchley, though as you know from my post, his farm has very sadly been turned into high-end housing.